The House of Representatives on Friday approved on third and final reading the proposed P3.002 trillion national budget for 2016. The approval was made possible after Malacañang certified the measure as urgent. 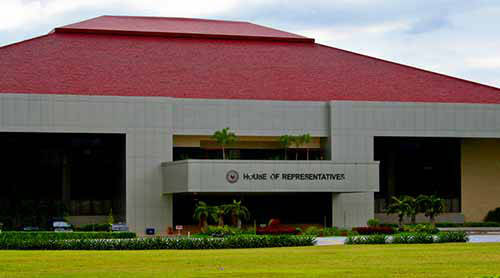 House Bill 6132, or the General Appropriations Bill of 2016, was passed in plenary session by nominal voting – with 230 lawmakers voting for its approval, 20 against and no abstentions. The proposed 2016 budget would now be transmitted to the Senate. Next year’s proposed budget is 15.2 per cent ( or P396 billion) higher from the current year’s P2.606 trillion. In the 2016 proposed budget, Social Services has the biggest allocation of P1.1059 trillion, comprising 36.8 percent of the total budget. Covering education, housing, healthcare and social welfare and employment, this sector received a 16.1 increase (PHP 153.2 billion) from the 2015 allocation of P952.7 billion. Economic Services came second at P829.6 billion (27.64 percent of the proposed budget) while the Defense Sector received P129.1 billion. The defense allocation will fund the modernization of the Armed Forces of the Philippines in light off the territorial disputes in the West Philippine Sea. By departments, the Department of Education garnered the highest allocation with P435.8 billion – an increase of 15.4 percent from this year’s budget of P377.7 billion. The Department of Public Works and Highways got the second highest allocation with P394.5 billion or an increase of P90.4 billion (29.7 percent) from this year’s budget of P304.1 billion. The Department of National Defense came in third at P172.7 billion with an increase of P18.6 billion than this year’s allocated budget. Rounding up the top ten in highest allocations are the Departments of the Interior and Local Government with P154.5 billion; DOH with P128.4 billion; Social Welfare and Development with P104.2 billion; Agriculture with P93.4 billion; Finance with P53.3 billion; Transportation and Communications with P49.3 billion; and Environment and Natural Resources with P25.8 billion. This entry was posted in NATION, NEWS and tagged Armed Forces of the Philippines, Department of Education, Department of Health, DSWD, House of Representatives, Interior and Local Government, Malacanang, National Defense, Public Finance, Public Works and Highways. Bookmark the permalink.